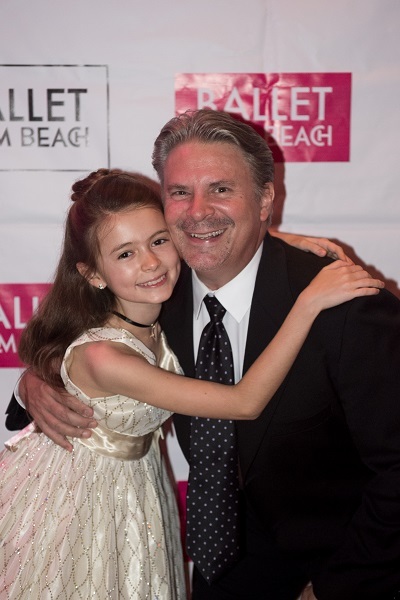 (Palm Beach Gardens, FL – September 17, 2018) Colleen Smith, Artistic Director of Ballet Palm Beach today announced several upcoming dance events for children and teens presented by the highly acclaimed professional ballet company. Held just days before Halloween, this annual party for dads and daughters will include a costume contest, raffles, dinner, and dancing. Proceeds from this event fund production costs for the company and academy scholarships. The cost to attend is $95 per couple, and $40 for each additional daughter. In an effort to promote literacy and the performing arts, Ballet Palm Beach partners with the Palm Beach County Library System’s Families Reading Together program to create an original short ballet based on a children’s book. This year it’s Lola Plants a Garden. The free 30-minute performance includes a short Q&A session between attending children and the dancers. Since its inception, Ballet by the Book has served more than 8,000 children, the majority of which were seeing their first live ballet. Ballet Palm Beach leaps into the season with holiday classic, The Nutcracker, the coming-of-age story of Marie who receives a mysterious gift on Christmas Eve. Adventures ensue as Tchaikovsky’s score draws Marie into a terrifying battle with the Mouse King, past a mystical snowstorm, and to the prince’s Enchanted Kingdom. For information about prices and how to purchase tickets, please call Ballet Palm Beach at 561.630.8235 or visit www.balletpalmbeach.org. For tickets to performances at the Kravis Center, please call 561.832.7469 or 800.572.8471, or visit www.kravis.org. For tickets to performances at The King’s Academy, please call 888.718.4253 or visit www.TKAFineArts.net.